Located in South Australia's Riverland, nestled amongst the gum trees on the banks of the Murray River, Chowilla provides a unique destination for those wishing to escape to quieter and more laid back surroundings. Chowilla offers affordable accommodation for families, groups and those who just need a break. Experience Australia's outback, history, scenery, wild life, Murray River and pastoral industry at one of Australia's oldest and historic sheep stations nestled among an Internationally listed RAMSAR wetland. 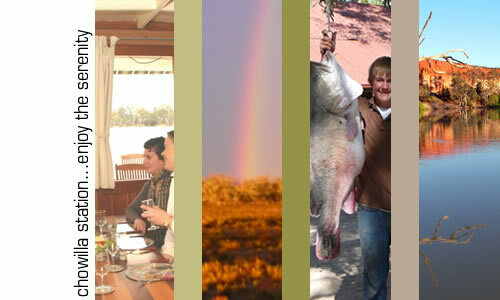 We invite you to browse our website and discover the uniqueness of Chowilla Station.